Since Facebook presented Flux in 2014 and it’s successor / alternative Redux was released by Dan Abramov and Andrew Clark there’s a lot of hype around unidirectional architectures in software development world. 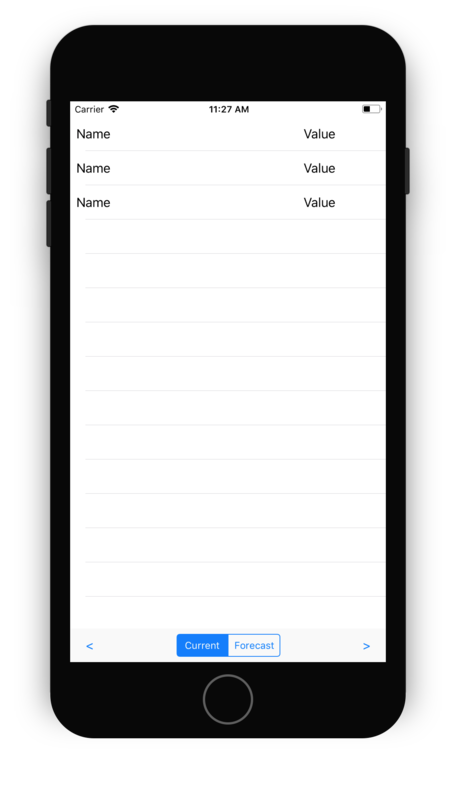 I’ve recently released initial version of my implementation of Redux over ReactiveSwift. This article makes a short (not really) summary of reasons why it’s done and why I think it’s a bit over other Redux stuff already written for Swift. What problem do I (as well as other libs I’ll mention below) try to solve? The answer is pretty simple and obvious — state management. Nowadays apps have grown that large, that demand in predictable state management led people to creation of such kind of predictable state containers like Redux. ReSwift has been around for a while. It has something around 5k github stars and is up-to-date with all major Swift releases. Being ported closely from original JS implementation, this library adds few nasty Swift features, like generic state type, strong typing of subscribers etc. ReduxKit was also used widely, but has been deprecated in favor of ReSwift. There are also some less known implementations like this, this and this, but they’re rather excerpts from people’s projects and not well-maintained to be used as community-proven solutions. State is modified by pure functions called Reducer’s. Having previous state and an action emitted by view, they calculate new app’s state. Encapsulation hides reducers from view so state changes are isolated. Flexibility. My Redux implementations provides Store parametrized by generic State and Event types, with a little type extension for Defaultable type, allowing Store initialization without default state if state type provides default value. ReactiveSwift’s PropertyProtocol and BindingTargetProvider protocols conformance brings possibility to bind state / event streams with simple <~ operator. Such kind of app is usually given as a test task for candidates applying for junior iOS engineer position. They are asked to do a fetch of weather data for current location using Gismeteo (or some another weather service) API. Weather forecast should be stored in some local storage (usually SQLite or CoreData are asked, however it’s 2017, app don’t have such memory limitations like it was around iPhone 3GS, there are strong alternatives like Realm so we won’t strictly require any framework/implementation). The next part of an article is mostly a tutorial of building this app using Redux & few other tools, so if you want to skip it (danger zone: you might miss few valuable insights) — here’s the link to below part of the article and here is the link to full source code of described example. If you’re still here… let’s dive inside tutorial! This should look pretty familiar with XCode templates, let’s create a project called “Simple-Weather-App” and, for sure, check on Unit Tests checkmark. 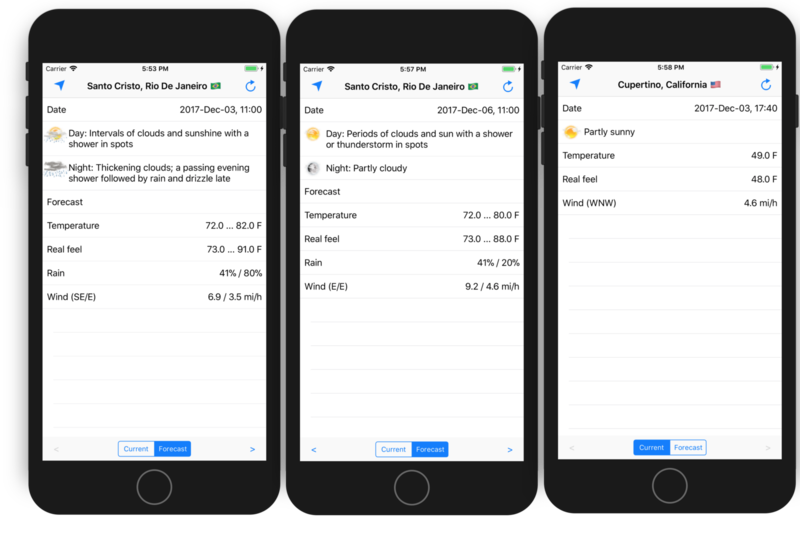 Next we’re going to add stub implementations to WeatherView to add table view cells and WeatherView on screen. We get weather model with fields we would like to display. Now it’s time to get some weather JSON and start parsing. I won’t put full JSON here since it’s pretty long, you can take a look by this link. I usually do Playground / Unit tests for parsing, so let’s go straight ahead and start our Unit tests! We will use Quick / Nimble over XCTest since they allow write more structured & human-readable unit tests. 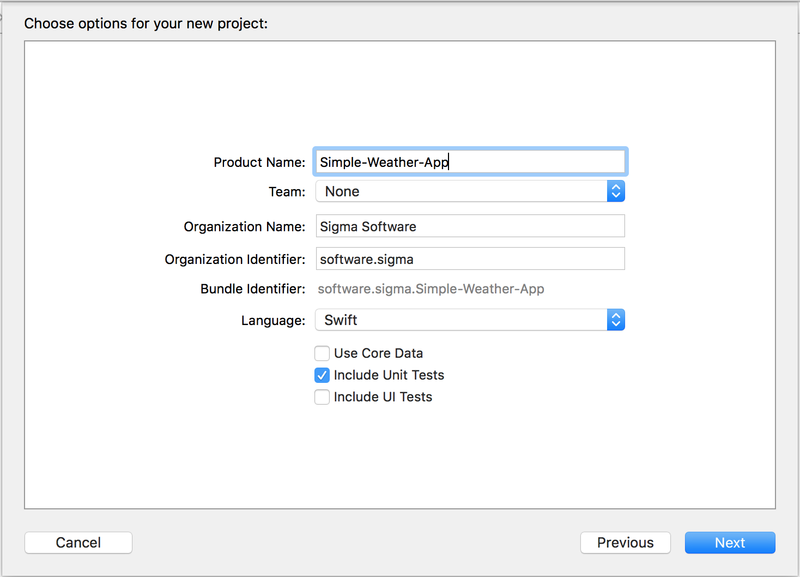 In terms of Quick, Test Suite is called “Spec”, so let’s create WeatherSpec.swift and start writing tests. Cmd+U… Executed 1 test, with 0 failures (0 unexpected) in 0.012 (0.016) seconds! (Honestly saying, i’ve did Cmd+U with fails like 10 times, until I’ve fixed all typos in the implementation, that’s why tests are especially useful for cases like parsing, now I’m: 1) sure that my model is parseable from sample JSON; 2) If something is changed, test will fail). That’s probably the most boring stuff, but I’m adding at least positive cases to check all parsed fields to make sure sample parsing is correct. Now let’s go ahead and add one more model, response and spec to our app & tests — result of Geoposition search. We need this, because AccuWeather cannot provide us with weather data for particular GPS coordinates, it does it instead for closest point we can find. Sample JSON is here, model and spec below. I skipped network requests code from the above gist for simplicity. You can take a look at full implementation on github. Last thing to do is to initialize these singletons at some point. Let’s do this on application’s launch. Cmd+R… And we can see very verbose log of each state change happened to the app — location permission requests, location fetches, network operations, parsing — finally coming to displayable app state we might want to show to user — fetched geoposition, fetched current conditions weather as well as 5-days forecast. We’ve just done solid model layer without any single line of UI code. This step’s result can be found here. We shamefully forgot about tests in the above part, however we should fix it now. We’ve got one problem with our current testing approach, there’s an AppDelegate initializing all the services upon launch. This shouldn’t be the case for unit tests, since we don’t want the app to ask for geolocation, perform network requests etc. when running unit tests. 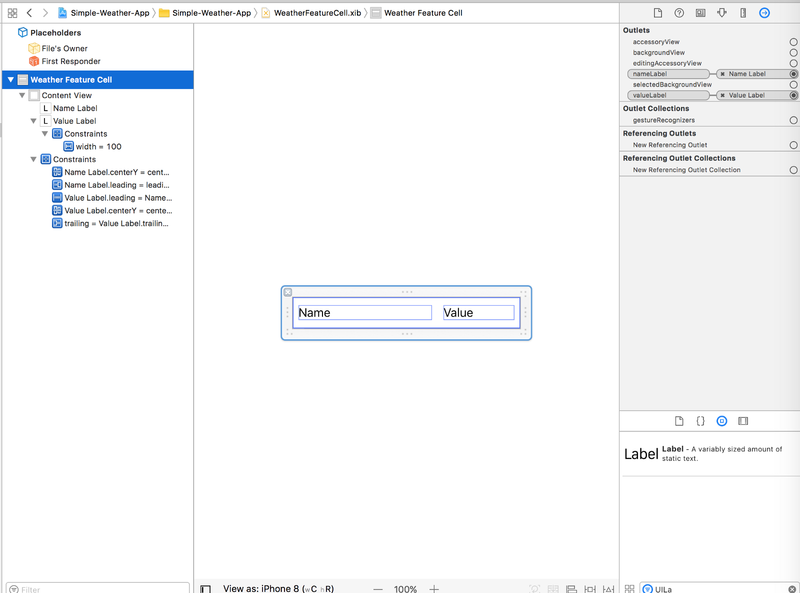 We have to trick our setup a bit more, adding different TestAppDelegate class for unit tests target and removing swift’s implicit UIApplicationMain . Let’s get to testing our app’s “real” business logic. It resides currently inside AppStore.swift and… is private. Doing testable import Simple_Weather_App doesn’t really help in this case, because this turns our to help only agains internal methods. We can try to test the state changes themselves, however it’s not that good idea, because we can’t set an initial state for each test case (Redux principle #2 — state is read-only). But what will happen if we end up changing reducers to be internal, not private? Does it break any encapsulation? The short answer is “no”. There’s always some trade-off, between encapsulation and testing simplicity, however this is not the case. Exposion of AppStore’s reducers into global scope (probably) increases compile time for the module and it might become a problem upon horizontal scaling. But from design prospective, making reducers not private or even moving them out of the AppStore's type scope will not make any difference. They’re pure functions. Keeping this in mind, I’ll move functions away from the AppStore and focus on reducer testing. Posting full testing gist here would be overkill (because it’s 575 SLOC 😂), i’ll leave a link. Ease of coverage for pure functions is a gift — powerful but often overlooked. Needed effort doesn’t worth it. We end up full of sorrow, leaving our two services without unit tests. Connecting outlets is not interesting, let’s focus on ViewController.setupObserving. This method makes all UI controls “alive” by assigning properties / actions to them. We’re wrapping actions for left, right, reload, locate buttons into CocoaAction and assigning to reactive.pressed property. This automatically handles click events and isEnabled state. ViewModel holds UIStore responsible for managing UI state. It shouldn’t be mixed with the app’s state. 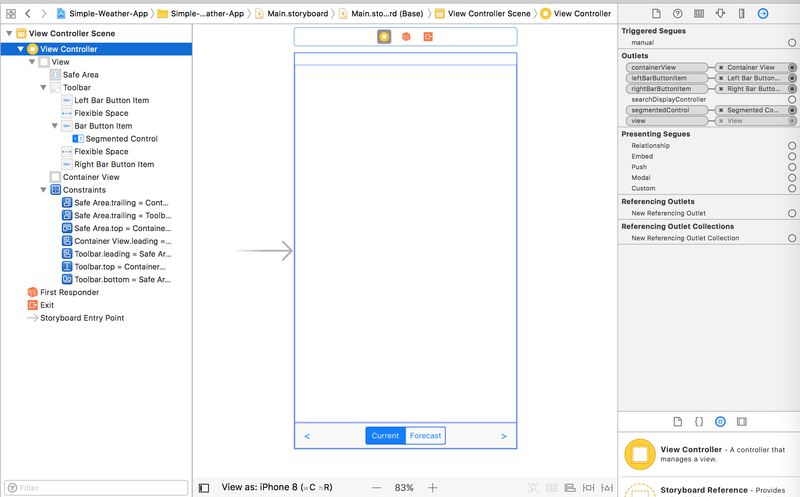 ViewModel itself applies transformation to the app state to make it ready for use in UI. It provides actions responsible for events delivery back to stores. 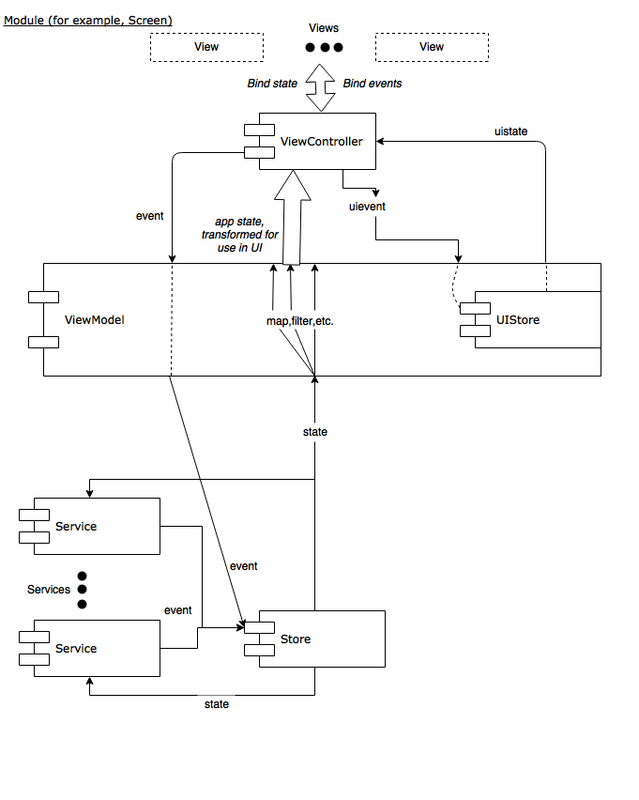 ViewController binds ViewModel’s actions and state signals to views. 2. Make navigation between forecast days by swipe / scroll and not (okay, not only) by toolbar buttons — simple, but not easy. 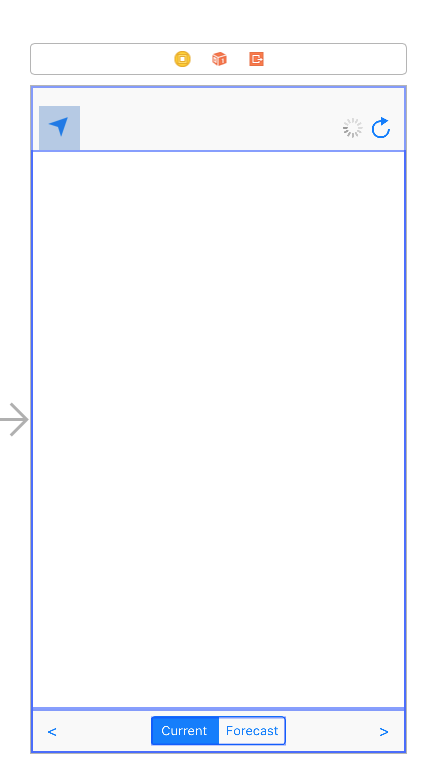 We need to reconsider UI layer for display because one tableview won’t be enough to provide smooth scrolling experience. The key complexity is UI layer — we have to reconsider ViewModel code to append additional UI actions, change content state delivery to ViewController and implement reactive UIScrollView behaviour. When it comes to changing state, Redux becomes solid pain, because there’re too much to change — state, models, reducers, view-models (in case of MVVM), ViewController. We need stubs for success states (L16-L49). They will be used to setup stores for testing success logic. We need few Equatable extensions (L221–227). They will be needed to make convenient equal matchers. We’re covering few main parts of ViewModel's responsibility — testing controls’ enabled state producer (L53-L99), testing UIStore, which is the easiest part due to Redux Store nature (L100–L127), testing actions (L128-L164), testing rest of SignalProducers (L165-L197). Comprehensive description of reactive tests are out of scope of this article, however you can pick up few ideas and build your own testing strategy. Thanks for reading down here, I hope you enjoyed & feel how to empower you project with unidirectional data flow. 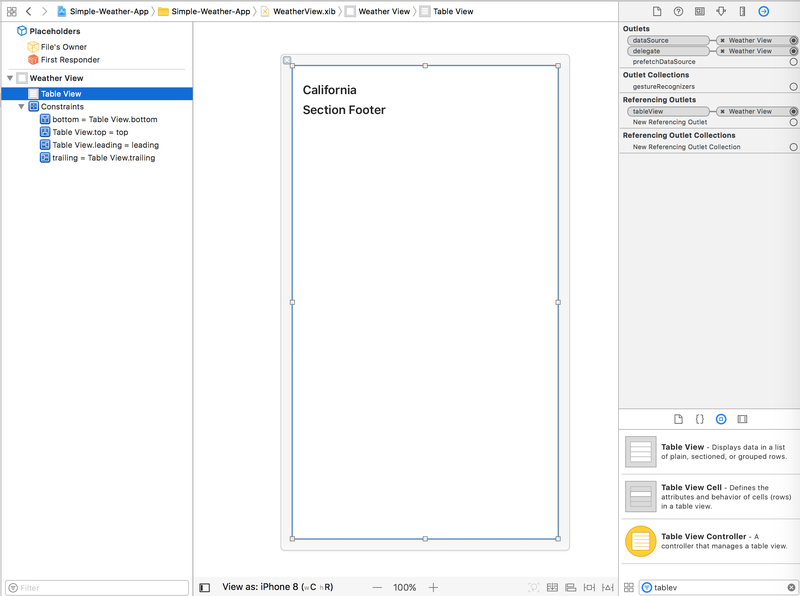 We’ve come up with very basic Redux app, however it covers aspects of network, loading state, state persistence and restoration — thins that are often overlooked in iOS development. Despite Redux is overall good, please remember that there’s no “sorcerer’s stone” or “silver bullet” in software development world. It even doesn’t pretend to be — but if you’re struggling with state management and related bugs, probably that’s a high time to get an inspiration from here. I’ll put a link to a good disclaimer post from original Redux author Dan Abramov: You might not need Redux. I’d use concept called Dependency Injection to avoid dependencies on network & stores. Swinject is what I’d use for it. I recommend reading the whole http://redux.js.org and get familiarized with concepts of reactive programming here. 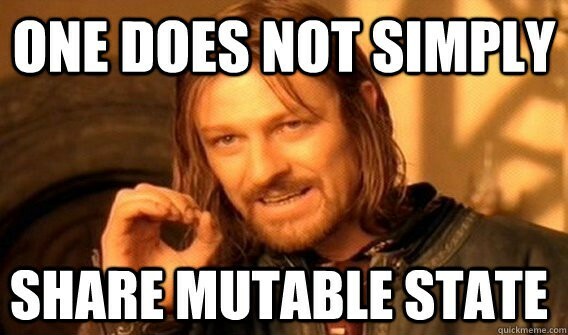 In your apps, try to benefit from state being immutable and readonly. Pure functions are easy to test. Stateful instances are hard to test.